On Thursday, October 18, Tuba City Regional Health Care is celebrating Indigenous Pink Day. On this day it is national breast cancer awareness campaign for American Indians/Alaska Natives. Breast cancer is the second leading cause of cancer death and the most common cancer found in American Indian/Alaska Native women. 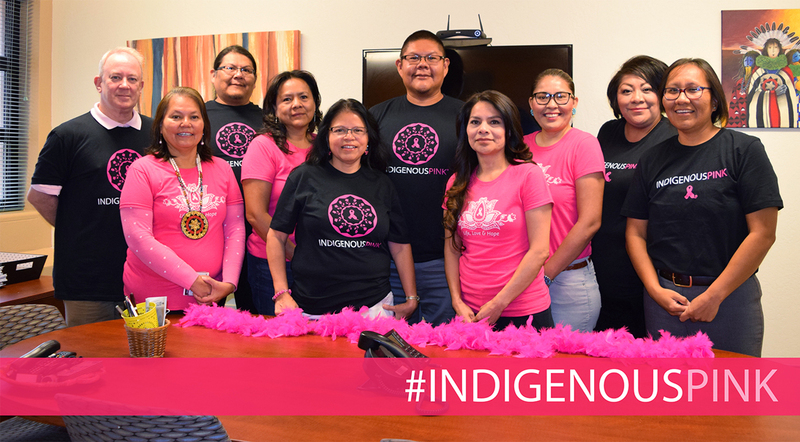 The goal of Indigenous Pink Day is to educate all indigenous people on the importance of early detection and remind men and women to keep up to date on their screenings. This is a national awareness campaign, so you can participate from wherever you are! Wear pink to honor breast cancer warriors and survivors on Thursday, October 18. Get regular medical care. Ask your doctor about the best cancer screening for you. Take cancer prevention into your own hands.